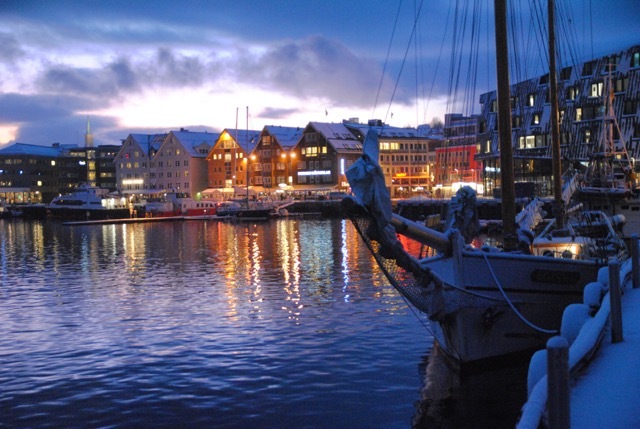 PHOTO FEATURE: Norway’s northern city of Tromsø was welcoming thousands of visitors last week for its annual Tromsø International Film Festival (TIFF). Scenes outside packed cinemas around town could also offer rare combinations of light and imagery, as Tromsø lived up to its reputation as the “City of Lights” in the far north. 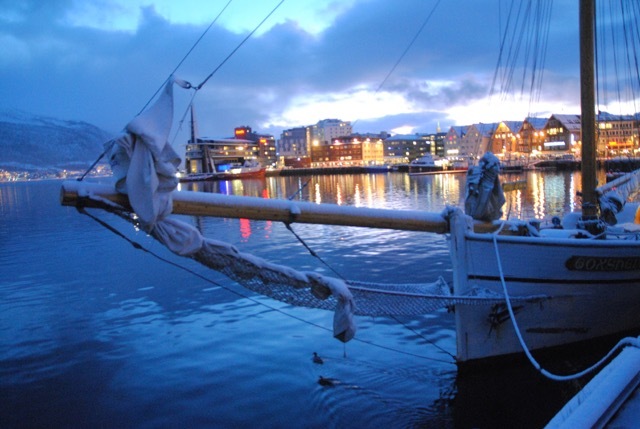 Tromsø’s annual film festival competes against Bergen’s to be the most-visited within Norway. Around 50,000 tickets were on sale for showings of films entered in the festival, many of which never make it into ordinary distribution channels. In between performances, festival-goers could enjoy views like this, with local mountains like Tromsdalstinden soaring to heights of more than 1,200 meters right behind the city. 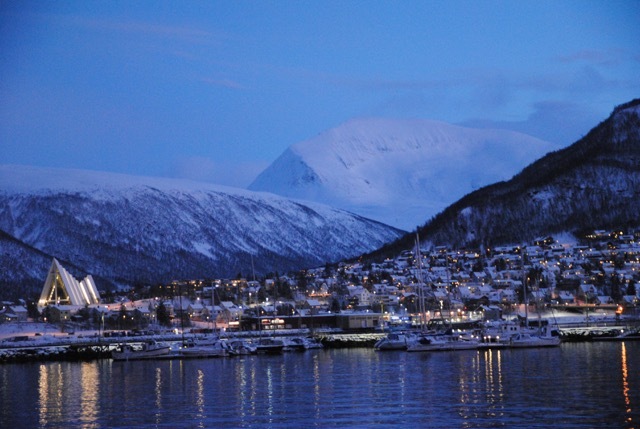 Mountains surround Tromsø on all sides of the narrow island where the heart of the city lies. The mountains are easily reached and popular for hiking in summer and skiing in winter. 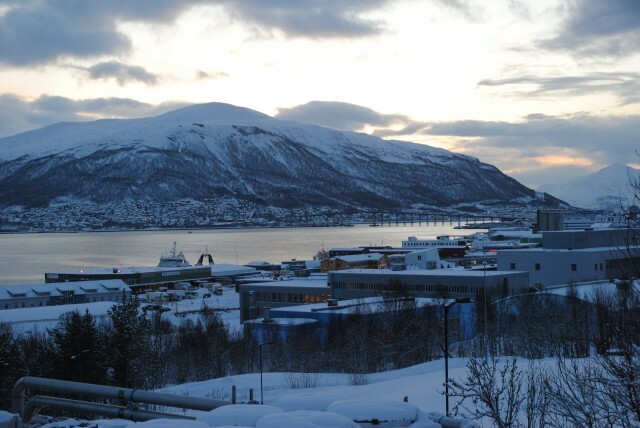 This view emerges from the campus of the University of North Norway (UNN), which itself lies north of downtown. Back in town, the bars and restaurants housed inside historic wooden buildings like these were likely to be packed along with cinemas during the film festival. It opened Monday with Margreth Olin’s new documentary entitled Mannen fra Snåsa (The man from Snåsa), based on an elderly Norwegian known for his unusual healing powers. Olin’s film was much-anticipated, offering rare glimpses of “Snåsamannen” in actual sessions with patients. 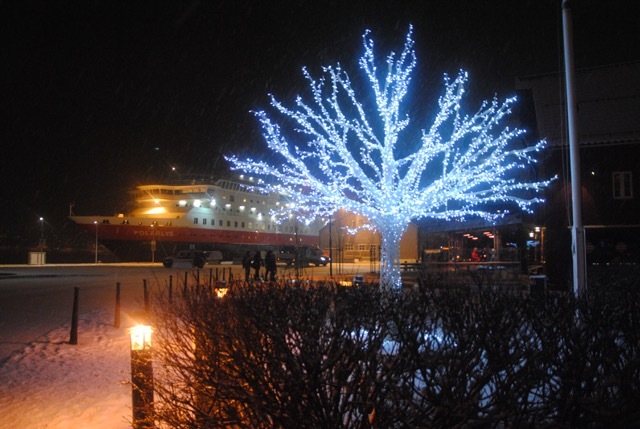 Even during the winter season long known as mørketiden (the dark time), Tromsø and the rest of Northern Norway are also renowned for their light. These last two photos were taken around 1:30pm, along the city’s popular waterfront. The snow lying everywhere also added to the light, on days when the sun never comes up. The sun was due to make its reappearance, by the way, on January 21. Film festival participants were also likely to wind up at some point at Skarven, an eating and drinking institution in Tromsø that’s been around for years. 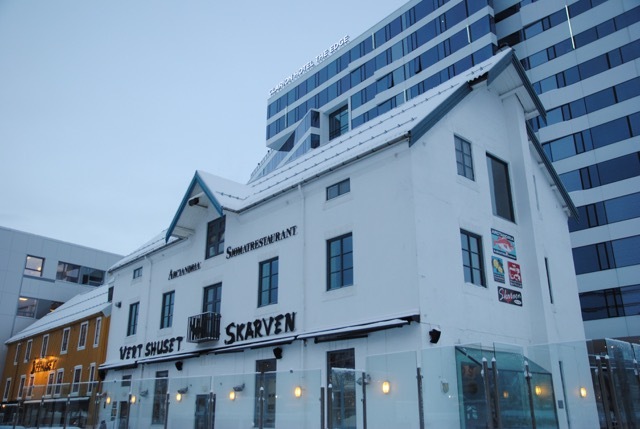 Now towering behind it is a relatively new hotel that also sports a bar at the top, offering great views all over town. There was some disappointment that Norway’s new Minister of Culture wasn’t making an appearance at the Tromsø International Film Festival this year. Her replacement, State Secretary Bård Folke Fredriksen, was set to talk about the state’s new incentive program for filming on location in Norway, and policies for the country’s own film industry. Minister Linda Hofstad Helleland expressed her regrets and blamed a “collision” on her schedule, with a government conference set for the same day. As darkness settled over the city just before the film festival began, banners were up and preparations in place to welcome everyone else. And Tromsø’s lit-up “palm trees” were still shining, much brighter than those in Hollywood.